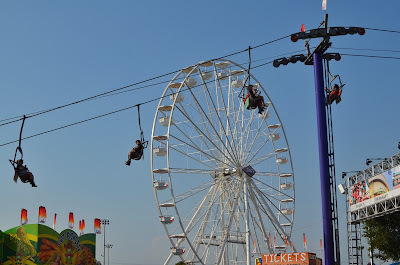 A visit to the fair is an essential part of my summer. I always look forward to all of the sights, sounds, and unique food items that are offered every year. 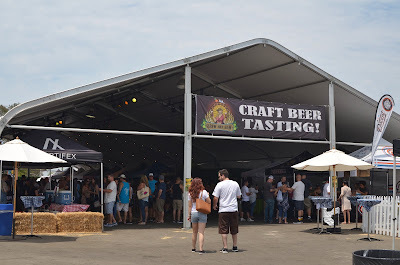 This year, I was able to attend the 4th Annual Brew Hee Haw Craft Beer Roundup. This was my first time attending the Brew Hee Haw, which is an event that is produced by Brew Ha Ha Productions. 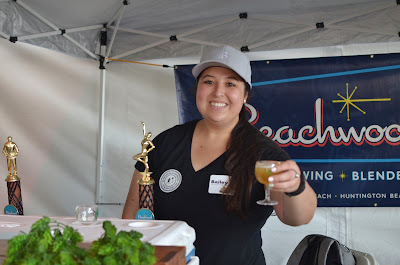 I always have a fun time at Brew Ha Ha events, spending time with friends, while enjoying a wide variety of delicious beers. The Brew Hee Haw is unique because it is set inside of another annual event, the OC Fair. The OC Fair and Brew Hee Haw go together perfectly. 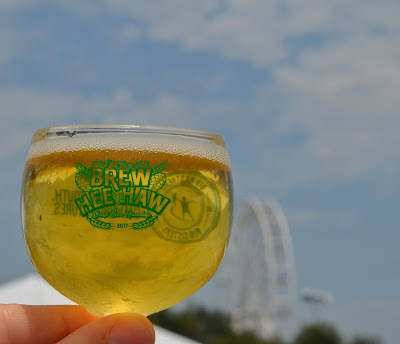 Brew Hee Haw attendees are able to attend the event, and enjoy the fair afterwards. The area where the Brew Hee Haw is held is underneath a large tent, which makes it easy to enjoy a beautiful Southern California summer day. The event had a great mix of people, and never felt that it was too crowded. 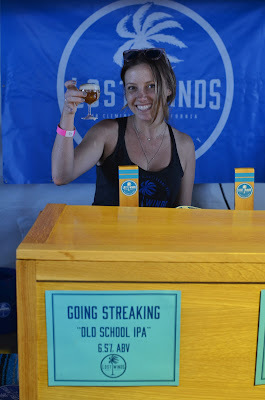 Attendees were able to easily go from booth to booth and sample beers. The dj that was at the opposite end of the entrance played a wide variety of music, which helped to add to everyone's enjoyment throughout the afternoon. The relaxed environment and manageable crowds made it easy for attendees to enjoy themselves throughout the four hour event. I had a fantastic time at the Brew Hee Haw and look forward to attending next year! Costa Mesa, CA--Awarded 1st Place at the Western Fairs Association's Annual Convention for Best Event Within an Event for 2016, the 4th Annual Brew Hee Haw Craft Beer Roundup returns to the OC Fair July 15 and 16, 2017. 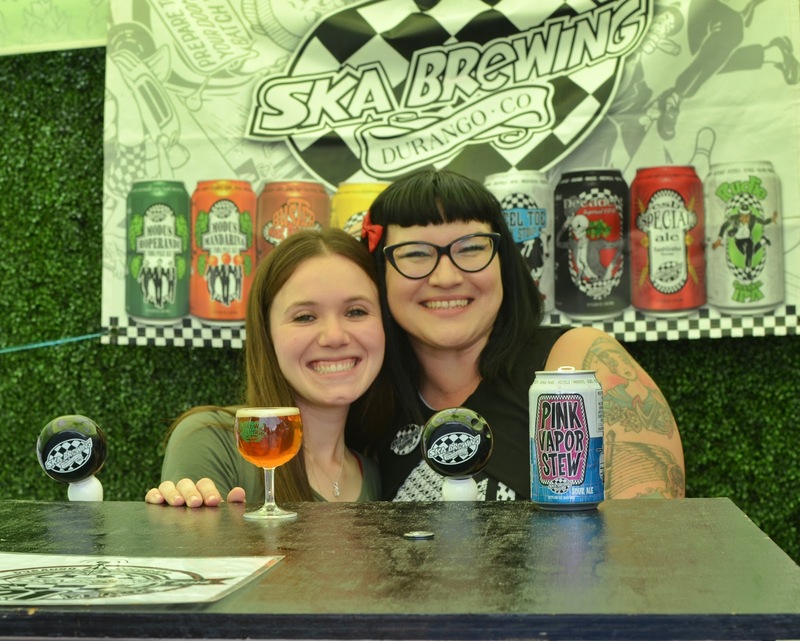 The successful collaboration between Brew Ha Ha Productions and the OC Fair & Event Center offers a first-class beer tasting experience on opening weekend of the OC Fair. The unique craft beer event allows guests to enjoy all the fun the OC Fair has to offer, while experiencing the great music, fun games, dancing, and unlimited tastings from some of the top breweries in the country. Tickets available now at: www.brewheehaw.com. 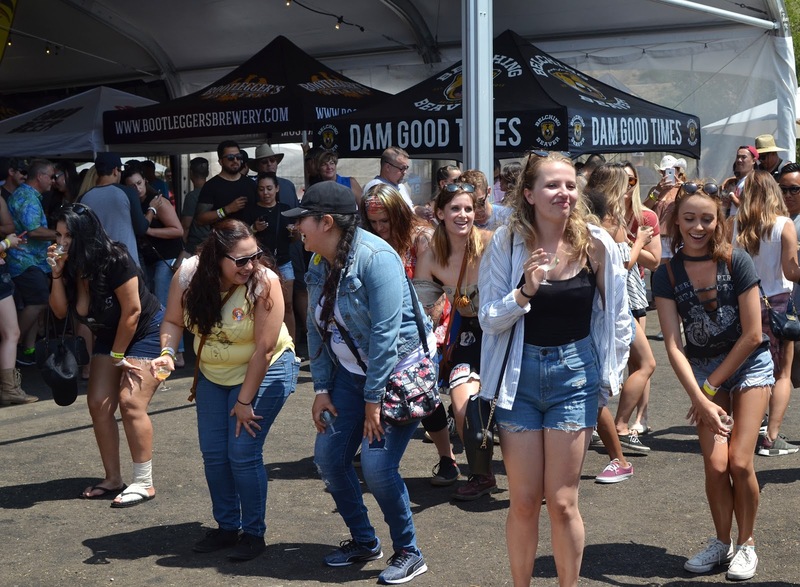 "We treasure our partnership with the OC Fair & Event Center and are looking forward to another record-breaking festival this year," said Cameron Collins, Co-Founder of Brew Ha Ha Productions. The 2016 3rd Annual OC Brew Hee Haw Craft Beer Roundup was a sold-out success and was honored at the 2016 Western Fairs Association Achievement Awards with a 1st place win amongst large fairs in the Western US and Canada. The highly anticipated 4th Annual Brew Hee Haw Craft Beer Roundup will kick-off opening weekend of the OC Fair July 15-16. Attendees will have the opportunity to enjoy unlimited tastes of more than 80 craft beers with a wide selection of styles ranging from Pale Ales, IPAs, Stouts, Saisons, Hefeweizens, and many more. 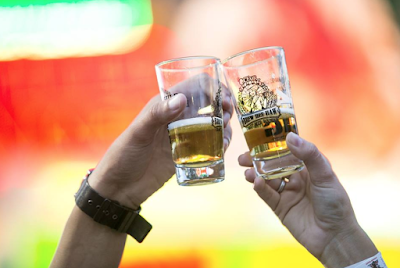 Located next to the scenic and spacious Pacific Ampitheatre, craft beer enthusiasts can enjoy sips from their favorite brewers throughout Southern California and beyond. Festival-goers will have their choice of three different tasting sessions with two sessions on Saturday, July 15 and one session on Sunday, July 16. In addition to fun games and catch tunes, guests will enjoy 4 hours of unlimited tastings and a commemorative festival glass. Tickets include free OC Fair admission so attendees can come for the beer and stay for the Fair! The OC Fair is open Wednesday-Sunday July 14-August 13, 2017. Tickets are available available for purchase at ocfair.com or from the on-site Box Office (limited hours). Free parking and shuttle service are available on Saturdays and Sundays from the Experian parking structure located off the Bristol Street exit off of the 405 freeway. 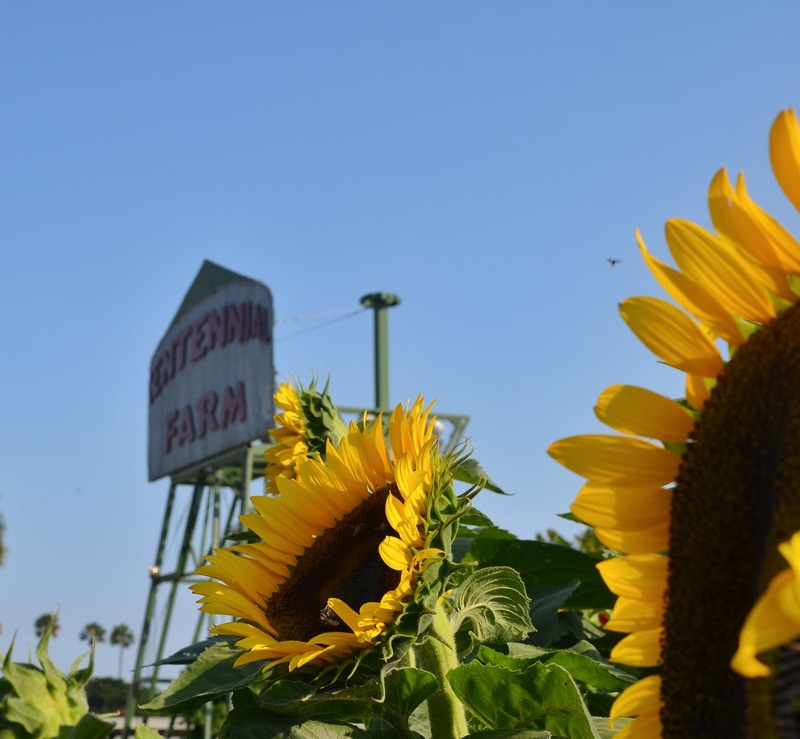 The OC Fair & Event Center is located off of the 405 and 55 freeways at 88 Fair Drive in Costa mesa. For more information, please visit ocfair.com, become a fan at Facebook.com/OCFair, follow at twitter.com/ocfair or call (714) 708-1500. Also, download the free OC Fair iPhone and Android apps. For the third year in a row, the Big Brothers Big Sisters of OC & Inland Empire are partnering with the Brew Hee Haw team and will receive a portion of the proceeds. Tickets can be purchased now without fees at www.BrewHeeHaw.com. Regular tickets are $55 each, and, if available, day-of prices are $65 each. The 4th Annual Brew Hee haw is a 21 and over only event. IDs will be checked. The Brew Ha Ha Productions team reminds all attendees to drink responsibly.